People care about the plight of refugees, but it's much easier to get involved if we know we're not alone. Rocktown Rallies volunteers are doing our part to let our community know that people right here in the Shenandoah Valley care, and that we are mobilized to help. ​We hope that you'll join us. Be part of a local effort to make a difference. Share information about people and organizations assisting the refugee response with family and friends. Use trending hashtags to connect with others and magnify your message. 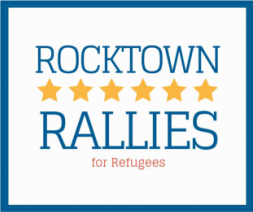 Produced by SMAD students at JMU, and featuring the Welcome Party hosted by Rocktown Rallies.